When you see the numbers “444”—whether on the clock (4:44), a license plate, a sign, the internet, a bill, just anywhere—it is "a sign of the power of God's love," according to Nick Bunick, author of In God’s Truth. In Doreen Virtue’s book Angel Numbers, she describes the meaning of the number combination 444 as, “Thousands of angels surround you at this moment, loving and supporting you …” I’ve had more than a decade’s worth of wonderful experiences with 444s. There is no doubt in my mind that when you see this beautiful set of numbers, it is great cause to celebrate. Our angels will nudge us awake at that time, or get us to look now at this set of numbers (or other meaningful numbers), providing us with this Divine message. If you suddenly find yourself waking at 4:44 a.m., consider yourself blessed. Your angels probably woke you. Or if you suddenly look at the clock, when you really didn’t care to know the time, and it’s 4:44, you probably were whispered to do so. Angels love humor and there is one thing they do that gets me to laugh every time. They sometimes wake me at 4:43 a.m. Okay, maybe I’m not laughing real hard when it’s that early but it always, at least, brings a smile to my face. 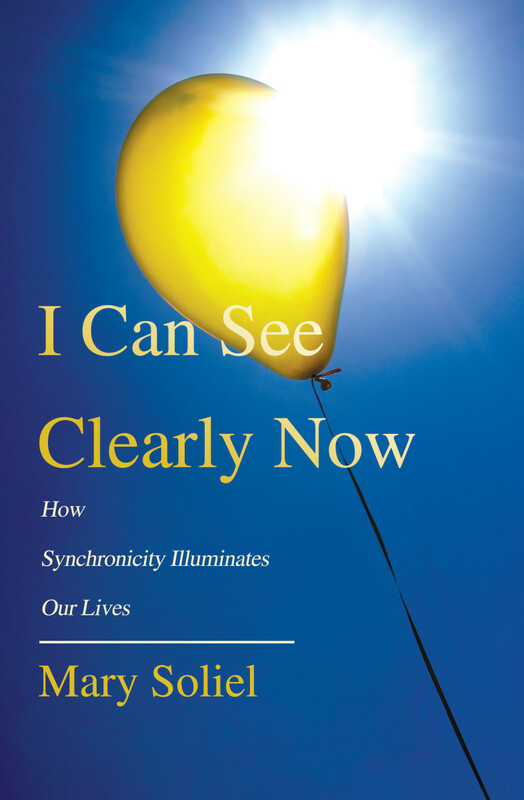 When I was in the midst of writing a chapter on numbers in my book about synchronicity, they nudged me awake at 4:43. The very next night they woke me at 4:44. I felt they were telling me to share with readers that they love humor and don't want us to always take life so seriously. And now I’m sharing this with you. They also want us to know that we can have a relationship with them; we really can. Just today, on the way to Whole Foods, I saw a license plate with 444 on it at the intersection near the store. After shopping, I saw another license plate with the numbers 444 at the very same intersection. How synchronistic is that? As I approached the next intersection, I saw 555. And then closer to home at an intersection I saw 888. This all occurred on a two-mile drive from home. You may be wondering what all these different set of numbers in triplicate mean. Numerology is the study of numbers and every number carries a certain energy and vibration, and thus meaning. In upcoming articles, I will address the meanings of other numbers. So reader, let me know if you’re woken at 4:44, or even at 4:43 with a laugh! Author’s note: The unplanned word count of the above article, headline included: 444! I CAN'T UNDERSTAND THIS , WHEN EVER I GLANCE AT DIGITAL CLOCKS DAY OR NIGHT I ALWAYS SEE DOUBLE #S IT 11.11 IS MOST PROMENT BUT OTHER NUMBERS ARE ALWAYS DOUBLE MOST PLACES I GO. STORE # HOUSE # TIME SHOWING ON THE CABLE BOX IT IS CRAZY. IT NOT BOTHERING ME, IN BEGINNING BUT NOW IT DREATLY DOES. I AM NOT INTO NUMEROLGY OR OTHER CRAZY THINGS, I DON'T FEEL THERE IS AN ANSWER. IN THIS WORLD CRAZY UNEXPLAINED THINGS HAPPEN !!!!!!! JOE NO IM NOT A NUT. Mary, Just yesterday I realized that my brother (and only sibling) died and my younger daughter was born at the same time of day....6:40 AM. The daughter was seven when he died which was almost 8 years ago. My older daughter, his God daughter, was 9. My younger daughter and brother's birthdays are 6 days apart. Hi - 6 years ago I got a call @ 444 am and it was hospice letting me know that my mother had passed away. I do believe now that 444 is meant to be something positive for my mother and that Angels were with her. My kid, she's only 20 months old. She keeps waking up terrified at 1:11, 2:22,11:11, 3:33, 4:44, 5:55. This has become an all too common occurrence. My wife and I keep trying to tell ourselves it's coincidence, but it's really starting to freak me out. Me especially. I feel so helpless, no matter of prayers or anything seems to help...Not to mention all the sleep we're losing. I highly doubt any of this is angels, it really feels like something out of my control is tormenting my daughter. That's great Daniel... your angels seem to be wanting to get your attention! I hope you find the 444s as a positive sign, Patti! Our angels love all of us! I would love to have a locker or address or anything assigned as 444... how blessed, Nicole! I constantly see 44 or 444! I would love to believe that it is a positive sign, but I really don't feel worthy of it being positive! I am an alcoholic and I really want to stop, but at this time most of my family don't even talk to me and I am having a really hard time! Fun. I was not aware of the 444, but I do remember waking at precisely 4:43 very often in theses last few weeks, and just wondering if my sleep cycle was shifting a bit, I usually wake at 7:30 so my former peek-up time was 180 or 270 min earlier: either 3:00 am or 4:30 am. Usually I sleep thru 6:00am 90 minute cycle. Haha! Yes Peter, they sure want to make us laugh. Hi Hunter, yes, I've read of these interesting synchs with the US President. That gave me goosebumps, LR. Absolutely no coincidence, these synchs blessed your new beginnings! Thanks for your reply and all you write about the meaning of numbers. Two months ago I was wondering why i keep seen these numbers. I hope the angels are close to my family. Because we are having a difficult time we decided to move to a new state and rented our home. The last night there, we stayed in a hotel. The room number we got was 111. Then when we arrived to our new home state the hotel address is 111. Then yesterday a family member that didn't know we moved sent me a text asking how we are doing, and her message was sent to me at 11:11. I didn't noticed until I responded to her and my phone shows i sent my text back at 1:11. How can this happen, it cannot be coincidence it must have a meaning I hope is a good one. our president is the 44th one. he was born 8/4/61 8 divided by 2 =4-4 birthday on the 4th =444 and he's the 44 president. just a thought. After waking me at 4:43 I was told my clock was 27 seconds slow, my clock then turned to 4:44, very funny, most times now they wake me right on time now on all 1:11, 2:22, 3:33, 4:44, 5:55 and lately at 1:23. They sure are helping you and with you, that I have no question. In fact, I caught 11:11 on my phone today (just an hour ago) and it was probably a wink from them through me to you as well! :) Just keep allowing the magic and their presence! We are evolving, we are creating a heavenly earth and our angels are helping us along in growing ways! So consider it a blessing and stay in those positive thoughts to bring forth your greatest desires! I'm so very sorry to hear of your loss. That is wonderful that you feel his presence, and there is no reason this connection cannot grow and help lessen your sadness. I touch on this in my books, but there are scores of books that can help you learn more about this and give you peace. When you are worried about the future, remember you have help all around you, including your husband. I'm so glad you made the connection of smelling oranges when you read this article, an amazing sign from them!! Prayers are always answered, as you probably know! Indeed it's a most blessed sign! That's great Shiny444, and I agree, the awareness is growing! Wow! There are a lot of us seeing this number now. More and more of us every day. I've been seeing it for a very long time - way back to the dawn of the digital clock as a common household item. my mom started waking up at different times most common was 333 and 444 me being a lover of paronormal stuff started wondering if it was demonic we shearched everywhere for answers then it started happening to me my most common was 444 and sometimes 445 lil thanx so much for this article you have made my day omgosh I just looked its 222! Thank you for giving me some insight on what the number means. I just woke up last night...well it was during the night and rolled over to see 4:44 on my clock. For some reason I told myself , I need to remember this!. I am 59 and have 2 children and 4 grandkids for which I am grateful. Somedays are very lonely though as I face retirement age without a pension and wonder how and where I am going?. I have my house for sale to try and get rid of so much overhead and bills on my own. I am widowed and have been for 7 years. I was married to him for 18 years the first time..then separated for 9 years..then divorced but we remained close ...then he was diagnosed with terminal cancer at the age of 55. I then took care of him and he wanted to remarry before he died so I did....he died in 2007. I still feel his presence often as I live with a lot of sadness for him leaving this world and all of his family . I have often smelled the strong scent of oranges and was told that is a Godly sign that lets me know spirits surround me. Yesterday I smelled that agin and then when I read your meaning of the 444 I felt that confirmed the angels. You share that the number 44 means that angels are with us! Is there any specific reason why they are with us or trying to get our attention? For the past year, I've been seeing the 2nd hand on a clock always land on the 44th minute. Every time I glance at the clock it's on the 44th minute. It's becoming more obvious but I don't know how to interpret or answer the sign. I know it's a spiritual sign because nothing can be that coincidental. I've been desiring to be married for a long time. I'm 42 and I've never been married. I know my anxiety and fears have been overwhelming me because it seems like time is running out! I'd be so grateful for some peace and closure to this phenomenon of the number 44 constantly showing up on the clock! Thank you so kindly! Mary, thanks for explaining the meaning of numbers. My family is going through a difficult time.. And I start noticing the numbers 1111,444 and sometimes 222 all the time which made me search the internet if there was a meaning. I was thinking it was something I made up , but then I told my husband about the numbers sequence and we just look at each other now an acknowledge what we see. Just today we were at church then I heard my phone, I wanted to silence the phone and at that very moment saw 1111. I was taking a nap this afternoon and I wake up suddenly then at that moment My thought was how I can be strong, how I can help my family etcetera then I checked the time on my phone and it was 444. The angels never leave, "StepBump." But there is definitely an ebb and flow to signs and messages from the angels. And when we go through something difficult, sometimes it's harder to be aware of the signs from our angels. Just remain aware. Hi Samantha, I'm so glad that this article gave you comfort. Thanks Jonathan, I'm happy that you found your way here. Hi Donna, What an amazing experience and at 444! Yes, it's true about these times, and my two channeled books, "Michael's Clarion Call" and "The New Sun" discuss just this, about how we are creating Heaven on earth... and you may be what is referred to as a Lightworker. You can ask God, your angels, for signs to help you understand more! Hi Anjana, Truly there is nothing to be scared about but rather excited about! I'm glad you are aware and can read up on these things to better understand. We are moving into a more magical existence and greater spiritual connection. Hi Pooya, You have amazing timing! So sorry you can't buy the book from there, I hope you can find a way to get it! Hi Jennifer, I really like your reason for the prevalence of the numbers related to your son, and hope it gives you much comfort. How blessed with all these things, Sushmita! I loved your description of the vision you had! Wow...I moved to this beautiful house and started seeing triple digit numbers ever since..the very interesting is on my birthday entering into 44 th year i saw 444 license plate 4 times with other number sequence..and i was so happy and felt lucky,blessed...just couldn't believe was happening with me . My birthdate addition comes to 4,my plate number addition comes to 4..i feel this 44th year will be life changing positively for me. I would also mention here as i started praying to God and Angels... i was woken up in the middle of night ,fully awake and saw beautiful sparkling lights ..thousands of them ...and they were amazingly beautiful...sparkling different Colours started taking shape of Fairy with wand....as usual couldn't believe was happening to me..and closed my eyes for a second out of fear...then opened again every thing was gone....i felt very bad but loved the experience and will never forget. I have always seen 1113 everywhere. That's my sons Birthday. I feel as if someone trying to tell me something. I have gone through a lot with him in the past 3 years. I wonder if this mean's that someone is watching over him. My husband tells me that I'm looking for it. But I'm not. They just always appear everywhere. Hi Mary, i am also among them who saw repeating numbers like 1111, 444,222, 999. I am very scared and puzzled because i see those repeating numbers every where like in digital clock, bills, receipts, page numbers of books hoarding boards, televisions etc even today. It started 6 months ago and i dont know how to react .Later I saw message about these in a random website and also found your links please help me in this. I KNOW this number is associated with good & angels. My very first experience with the number came about 20 years ago when I awoke in the middle of the night and at the foot of my bed I saw a beautiful angel standing. Her dress was blowing in wind (although there was none) and she was looking at me. Suddenly something in me made me look at the clock. It read 4:44 am. I looked back and the angel was gone. Over the next 19 years I saw it here & there and thought it was God's special way of communicating with me that something special was about to happen. To my shock & surprise a year after my grandmother passed I was reading a book on angels & almost dropped the book when I discovered a chapter that this was a universal number that meant angels were communicating with you and said it belonged to a special group of people who chose to incarnate at this time in the world who were "spiritually aware" who were to bring some kind of change. All this time I thought it was just God's way of communicating with me personally. I cannot tell you the shock I encountered realizing the what I had been experiencing was not only not a coincidence I had made up in my own head, but that it had universal importance and was publically known and meant something. My life is bombarded with it at times right now when I am going through something devastating, so I am confused if it means something personal for me or if I do belong to this "group" and I am being called for a higher purpose. My feeling is that it is assuring me that angels are around me and my situation when I see it repeatedly at times (because there are times I don't see it at all), but right now I am bombarded by it, I mean cars jump in front of me in traffic and it is on their license plates, I awake at 4:44 am, I get calls at that time, and on & on & on. I wish I could be assured of what God is trying to tell me right now when I see it. I see it everywhere as well. I had a dream that was a bit on the wild side, and realized I woke up at 4:44 am. So I started searching and came across your article. Very comforting, and a good read. "Hi" is a jerk. Lets keep the positive energy flowing. I've just came across this article thru a friend when I told her I felt scared and disturbed that I see 4:44 on numerous occasion when I look at the time. It happened so very often, when I'm at work and when I look at the time on my laptop or while I'm driving and suddenly looked at the time. I've lost count as to how many times this has happened to me. N now I feel comforted to know it has a good meaning behind it. Hi Mary. In the last several months, I started getting 4:44s all the time, every day, plus 3:44, 9:44, 10:44, and 1:11, 3:33, but most often 4:44. When I looked it up and found out what they meant, I was greatly comforted. Now, about a week ago I saw a violent event that traumatized me greatly. Now I no longer see any of my numbers at all. Where have the angels gone when I need their comfort the most? Hello "hi," you didn't burst my bubble at all. I've heard this too, and please see this very discussion in the thread above, at least a few times. Things are not what they seem. What a great share, Kimm310, thank you! May you and your daughter be continually blessed. I have been seeing 444's for years and know that it is a reminder that help is on hand if I ask. 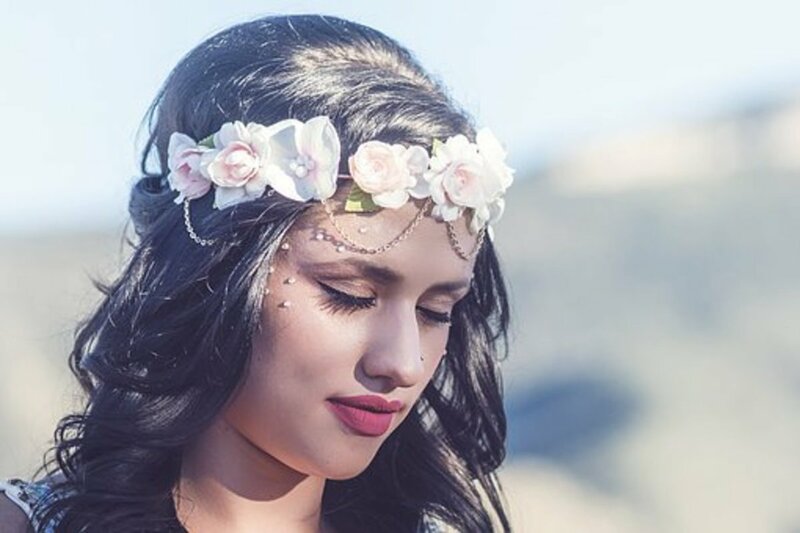 A few years ago when my daughter was very ill, I saw them at the most synchronistic occasions, they pointed a clear way to finding the right treatment for her. I love seeing 444's . Only today I glanced at my phone the time was 4.44 , I looked to my left and was standing outside a shop called 'Army of Angels' in a city I don't often shop in, so I didn't know until that moment that the shop had that name. I'm quite a skeptical person but I know with certainty that when I see 444 I'm being reminded that there is some loving presence around me. actually 444 means "die die die" in Chinese. so its actually a literal phrase about death. sorry to burst your bubble. Absolutely, it's all about perspective, Chloe... good for you! I wake up just before qyarter to five every Morning! but usually due to having a nightmare, I am always pretty freaked out by the nightmare when I wake, but it is always at the same time! ...now I can feel calm when I next wake up knowing that angels were waking me from my bad dreams! I'm happy you have found comfort from this, James! My best suggestion is to tune within, Holly. And look at all the comments above, the impact is undeniable in my view. We are being blessed. This number combination is indeed a communicator of blessings. 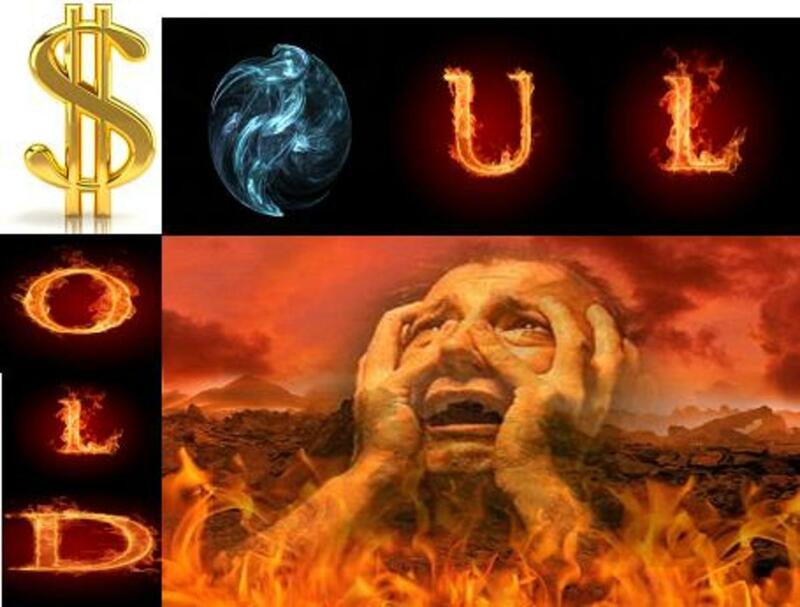 The number 4 is a very reacquiring number in the bible specifically the book of Revelations.... I have dreamed this number for 8 years now saw it everywhere i go and it has never been associated with something good it has always led to something negative. The spiritual meaning of 4 means supernatural or extraterrestrial. 444 how is that different ? So I have been seeing 444 for a few weeks now. The funny thing is, my fiancé and I have been seeing 1111 for a couple years!! I was worried that all of a sudden I've been seeming 444 and that it meant things were all of a sudden going to be bad. After reading this, I now feel that possibly, things are going to be even better!!! Thanks so much for this!! So happy you'll be reading my book, Albert! I don't know of the interview but it sure sounds intriguing! It truly is a blessing, H! i never knew all about this until i have decided to search the meaning of 4:44..ever since, almost everyday... been bothered very time i look at the digital clock that its always been the 4:44pm or am.. I was relieved that this sign doesn't mean anything bad. I am a sinner and not worth it of any divine intervention but somehow this learning brought me so much joy that God really took time to look upon me and make me feel like He's still searching for the lost sheep..me... thank you. Hi Mary, like your comments and will buy your book I can see clearly now. I wondered what you think of the Brian Brunius interview on souljourns (vimeo). His amazing story which includes 11.11 then 4.44 and all his dreams. It is the video in which he is wearing white; there is a follow up one as well. I was at the store and my purchase rang up as 44.44. Then about one second later from behind me I heard the checker say 44.44 to the customer they were helping. I have always noticed the clock at 4:44 but this experience caused me to look into it. Around Halloween I always notice the clock at 10:31. All year I notice the clock at 11:17, my daughter's birthday. I know these are reminders due to the way I feel when I see them. I am opening myself up to them now because years of seeing them is pushing me to believe it's no coincidence. I awoke at 4:44 this morning and that's what caused me to discover this article. Thank you. i don't know, but i think an intelligence part of the universe want to speak with me . Ah! Well Indiana, that's pretty awesome! I woke at 4:44 am this morning myself. I never tire of the magic. Yesterday night I woke at 3:33. last night 4:44 can't wait till be able to sleep in till 5:55 !!! Lol I don't know if it was deliberately set up this way, but I came to look up what the 4's meant because I've been seeing them a lot so I scroll down to look at other numbers and I come to the last comment and there were 444 comments. Lol they truly are funny. 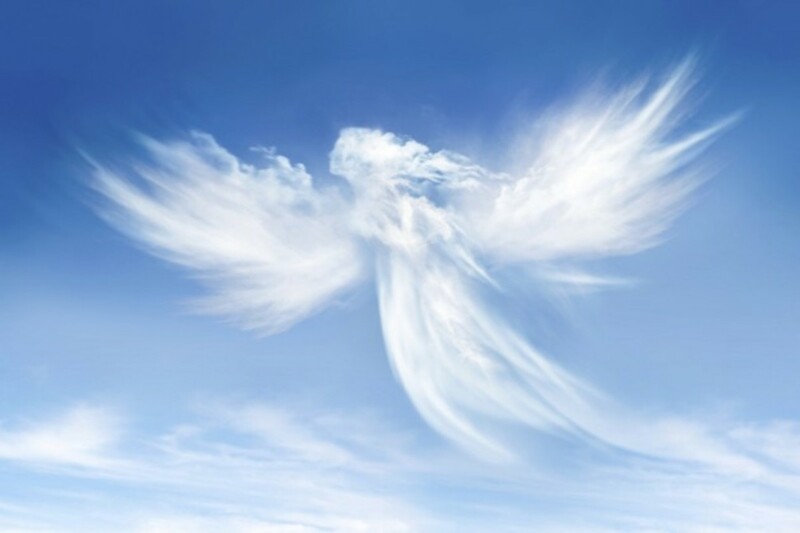 It's nothing to freak out about Teri... your angels or passed loved ones are just getting your attention, showing you they are with you in a very wonderful way! Wow, Jim, congratulations on the fantastic news!! No coincidence with the 444 tie in being a bearer of great news. Sol, it's all about perspective. Try and turn that around and see that you are being blessed with a great sign, showing you are not alone and it will help get you through the challenges. i dono what is that but whenever i'm in the bad situation or having a problem that make me sad i'm seeing the numbers are set like 2:22 or 3:33 0r 1;11 . I've been seeing 444 since my nephew passed a year ago. I see it on the clock day and night, car tags, price tags etc. I visited a medium and asked what time did he pass, she said 4 p.m. His girlfriend gave birth to his baby in januaury at 4 p.m. The baby was put on a ventilator at 2 months old and was taken off the vent at guess what time? 4:44!! I've always known the numbers had a significant meaning but just decided to do a search. First of all I have never even heard of this before. after a week of waking up at 4:44AM [first while I was in Australia and now after being back in USA for two days] I decided to go to the internet this afternoon and just type in 444 and picked your web site. so now here is the weird part: I have been waiting for three weeks to find out if my latest biopsies were good. [I had stomach cancer and went through radiation last year] about an hour ago I got an email to go to MyChart.com. All Clear!!! your information about angels telling me it is ok and stop worrying is very interesting:) This was not a random event. I am still reeling. I love it too, Roni! In my view, a very good sign, Petrovs! At the moment I live in London, and recently have decided to go back home to Latvia, and since then I started seeing 444 everywhere - clock, number plates, even the guy who was sweeping the street next to my house had a wheelie bin with 4 on it! The next thing is that back home I live in house number 4, flat 44. So at the moment I am very curious, should this be considered a sign , and then if yes - good or bad? I would really appreciate any comments on this matter. I always look at the clock at 4:44. I love knowing angels are whispering to me. Nothing crazy about it... many all over the world are seeing numbers in double and triplicate, and often. Synchronicity is waking us all up. I'm glad you enjoyed, thanks for being open to the message. What a blessing to be as aware as you are of the company you truly hold and be able to connect. Wow, very interesting. But just know there is ebb and flow to all things, including with numbers. I bet there will be another surge! That's really neat that you are sharing the same experience! I see 444 everywhere I go!! It's funny because yes I am human and sometimes question if its merely a coincidence. I woke up the other day at 444, then saw a license plate with 444, then went to go park and realized I was in spot 44!! Its so funny to me how whenever I start to think that I just want a sign so I'm looking too carefully how my angels seem to repeat things over and over until I get the picture! They are saying hello this is real we are speaking to you!! I began being woken up at 4:44 am when I was pregnant with my daughter; I woke up at this time for 10 years after her birth. I, also, see the numbers in the afternoon when I randomly look at the clock. I didn't research it until about 2 years ago. It seems like once I researched it, and found out that it was angels; it stopped happening as often. Hmmm! It's nice to know that perhaps angels surround me. I used to believe in them and now I am an atheist but it is fun to think of entities who's job it is to take care of me. I take care of so many people and so much of my time goes to the needs of others that reading this today regardless of my idea of what angels are or are not was nice. Thank you. I've been seeing the numbers since i was 6 years old, i started seeing them after my life started to change. 44, 33, 22, 55, 11, 444, 222, 555, 111, i see them all. Theres been days were when id look at the clock there the only numbers i see. i want to know if gods trying to talk to me, i want to know what hes trying to say, when i was 4 yrs old my grandpa had passed. that night i had a dream, my grandpa had come to see me to tell me to tell every one his last words. did i see an angel? i pray every night for god to keep showing me these numbers, but in diffrent ways so i know im not crazy. the next day i stepped on a pin. i sat down to see what i stepped on, i pulled the pin out and the only thing on is was the numbers 22. i try to talk to my mom, my sisters, and my brothers but they all say im crazy. Yesturday i was woken up at 3:32 am, i went to go get a drink of water, a folded up receipt fell in the sink. i picked it up and looked at it. the only numbers i could see were 33. at the same time the clock hit 33. I know hes real. I know his army is real. i just dont know why? please email me at zanawalthall@yahoo.com i NEED TO KNOW MORE! That's pretty magical Trent! Well 4 being your life path number, also the number 4 alone is known to stand for security... and 13 is a very sacred number! Jeri, I love that dream! Wow, yes, I believe we are participating in the unlocking of codes, but most of us aren't aware of it... very cool! Oh Christen, I just love that you found this page and understanding... I am so happy for you and your blessings! I sit here with goosebumps. Your information is very interesting. Many years ago I had one of those dreams that I occasionally have that are not one of my regular dreams but something more profound or instructive. In this dream voices were repeating 4444444444.......... and I could see the number 4 going on endlessly and one of the voices said "she knows the code" and I immediately woke up. Great numbers! :) I'm so glad your feelings and experiences were in effect celebrated here, thank you for writing! 1+31=32,44+32=76,7+6=13,1+3=4 that's my number 4. (1-31-44 is my birthday) I started seeing the number 444 about a year ago. So much that I started writing it down. So many different ways it would show up; In fact it showed up as the time on my computer when I first opened it today. That's way I decided to look it up on Ask.com. What a blessing I feel, that you were able to answer my questions on this subject. I have always believed in angles. Thank You So very much. I feel so blessed today. Our angels love us without condition "444." What a great sign for you. What a great birthday, Misty! Amy, it's so awesome that you made the connection. I hope you enjoy my book, thank you! You are in the flow, Evan! Just intend thanks from your heart and they will hear you, Luca... they hear our thoughts and words. Stay open to the unfolding, Kathy... they are getting your attention! For several months, I have been seeing 333 everywhere. Then, today, I saw for the first time 444 AND 1111. I'm pretty sure my angels are trying to tell me something wonderful -- but what? I see 444 lots of time on my phone, the most I check my phone time it's 444, and my football jeoursy number is 4 too, before I use scad when I see this, because I was in some problems, after reading this I really feel confidence. I really don't know how to thank angels. I can't sleep. I had begun to think about how removed I feel from friends, while just talking to neighbors, maybe making new friends, or just neighbors. But not being around the deep friendships. What happened. Anyway, I decided to get up and go into the living room with my iPad. I sat down, flicked it on and the time was 4:44. (Routine for the last five years for me to see numbers in triplicate on the digital clock, less often elsewhere.) I have tried to look things up, any sometimes it makes sense. Anyway, I came onto your definition, and I like the notion that I am surrounded by love and angels, especially considering where my thoughts were going. Thank you. I will have to get your book next week. I shouted at the angels today because I have relinquished all my hopes, fears and dreams to their loving guidance. I wrote in my online journal; "please show me this is coming to an end" then I got a message from a friend on twitter so I clicked the link and as my page came into view; 444followers. It was that quick! I remembered an article about 444. I burst into tears and felt ashamed of my harsh words directed at them. i thanked the angels for their message of love. I'm going through a VERY stressful period at present. Driving to work this morning I was totally stressed out and was ranting and raving at the top of my voice about how fed up I was and when were things going to get better? As I finished my rant, I saw that the car coming towards me at that moment had 444 in its licence plate! What a great birthday, Kristina! That's great Chris, I also wrote a little article about the 11:11. My Angel number is 11:11. My birthday is 4/4/74. I see 444 all the time!! Stay with the faith, Veronica Jean! Go to your heart and just feel the blessing, listen to the message if there is one, Chris. Wow, Judie, I love hearing about your son's shirts! How wonderful. I'm so glad you feel the peace and comfort of this sign, Dawn! As there is an ebb and flow to everything, this sure is true with signs. Wow Dominic, I'm glad to know you are free and that you knew you were being watched over! 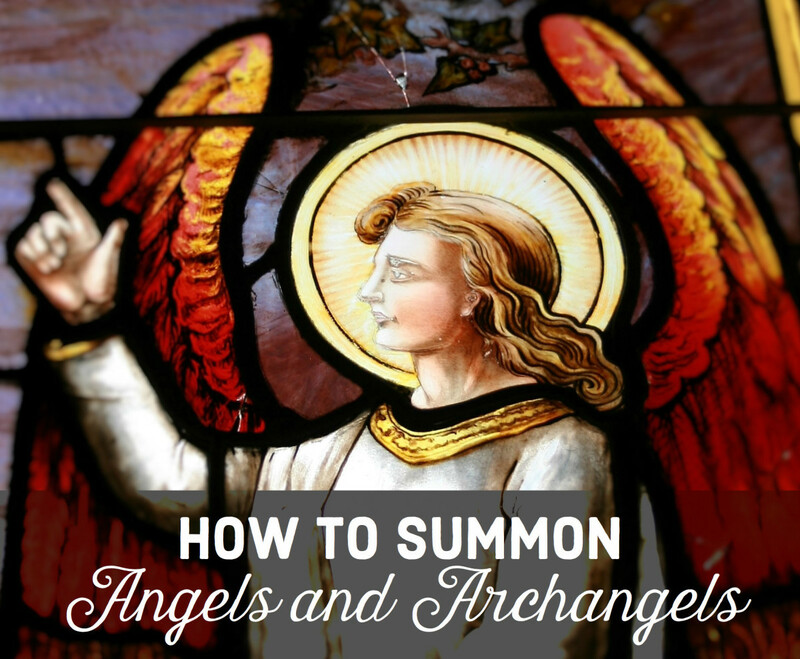 It starts with numbers, often, but our angels can communicate in so many ways. You can ask them for greater connection with them and God. Wishing you much peace and continued miracles. Hi Selena, It may seem strange at first simply because we aren't trained to understand in this way. This is a new journey for most of us, we simply need to stay open and aware. Oh sorry to hear that Daniel. We can perceive in that way. Sometimes we see it when going through a bad time so that we have the sign, the reminder to just hold on and know we are being watched over. I always look at clocks at 3:33 and 4:44 this has been going on for about 2 yrs. Even on hoildays where there is a time change. Ive been in search of what my angels are trying to say to me. In 2009 I was accused of a horrible criminal charge that could of landed me in jail for life. During this time I became depressed. I made a nus out of my bed sheets and practiced hanging myself while I awaited my court date. For hours at a time I would pace back and forth in my cell talking to God and crying, then I would fall on my face and pray for his attention, then I would stand back up pace and talk to him some more. 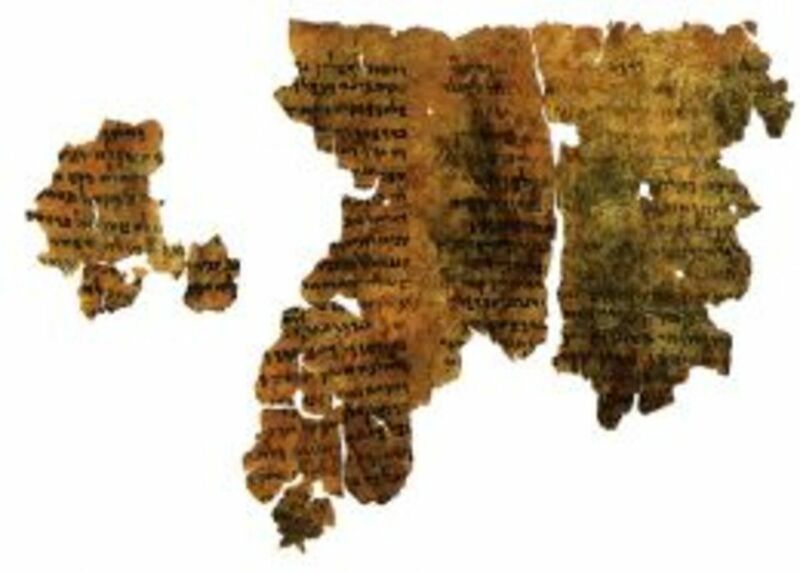 I found hope in reading the bible: Job chapter 5 witch has 27 verses about how God corrects and reproves man. I also favored Job chapter 33 witch has 33 verse. I stayed in this depression for around 7 months genuinely pleading for my life. Then suddenly I watched a weird chains of events that ultimately lead to all charges being dismissed on May 27th, without even having to go in a court room. God saved my life. Im writing you because since then Ive been seeing double numbers in overwhelming amounts, sometimes 20 to 30 times a day. Ill walk in a room the digital clock will read 1:22. Then ill do something like cook for my little girl and when I bring it to her, her clock will say 1:44. Ill use the bathroom then go back in the living room and the clock will read 1:55. This happens all day With mostly digital clocks and license plates that will end in doubles (i.e.PVC1255 then 2 minutes later FVR3444. ), Then my eye will lock onto the dashboard and my girlfriends song will be playing for 2 minutes and 33 seconds and still counting. This happens all day everyday. It could scare the average person but I know its from God because he saved me. I just want to learn how to read the numbers without supposing anything. Glad to have found this site, starting seeing the numbers 444 about ten years ago mostly on a clock. I went to RI my mom was very sick with cancer, me and a friend went to a car show, as I was telling her about seeing the numbers I look down at one of the license plates you guess it the numbers 444. I knew they had to have a purpose for me now I know, for some reason I stopped seeing them after awhile but now that I am going through some rough days I see them again. Thank you Mary I will be looking at the numbers with a big smile now. The friend I was with was born on this day 4/4 not sure of the year but I will find out. For years my son has been promoting the #444. He has produced tshirts, caps and other apparel items showing the number, but the middle "4" is reversed, making angel wings of the last two. I believe that now he has added a very thin halo around those two numbers, and I am wearing of of the sweatshirts as I write. My son is 46, lives in Germany, and is very spiritual. He and I have a special bond, a bit different from me and my two loving daughters. I am a firm believer in my angels watching over me, and I am grateful as well. This is very interesting, but what are we supposed to do when we see these numbers? I was always seeing 11 11. Then it chanced to 444. I then realized I am the 4 child of two 4th children and my child is their 4th grandchild and I was born in the 4th month of the year. I may be stretching.This 444 thing started when I started to try and renew faith into my very sad life. I so struggle with it. Well I describe my understanding of 444 here and 11:11 in another article. As far as 1007, could that be a relevant date of the past? 10/07. Check in with your intuition as often numbers mean something very specific to us that would be difficult for another to interpret. I hope by now you have found peace with it. Reading the comments above may help you. I always get such a good feeling with 333. 3 stands for the trinity as well as emotions, so it's triple in meaning. I'm familiar with Doreen's account of it and find it comforting as well. Tune into your intuition to decide what it's saying to you. Yes, I'm still here but very busy putting two books out right now. Those are great synchs, especially the license plate with your initials and birthdate leading to a win in the lottery... wow! As we raise our vibrations, we are moving toward eating lighter, more real foods that match the vibrations we are moving in. I talk about this a little bit in my book coming out soon, "The New Sun." So way to listen and make changes! It comes naturally and easy when we listen to our guidance. I agree about the corporate ongoings that don't serve us. As we continue to move into higher vibrations, the darkness (including corporations that do not serve the human being, but rather harm) will fall... there is no way it will be able to exist, so there is much to celebrate.